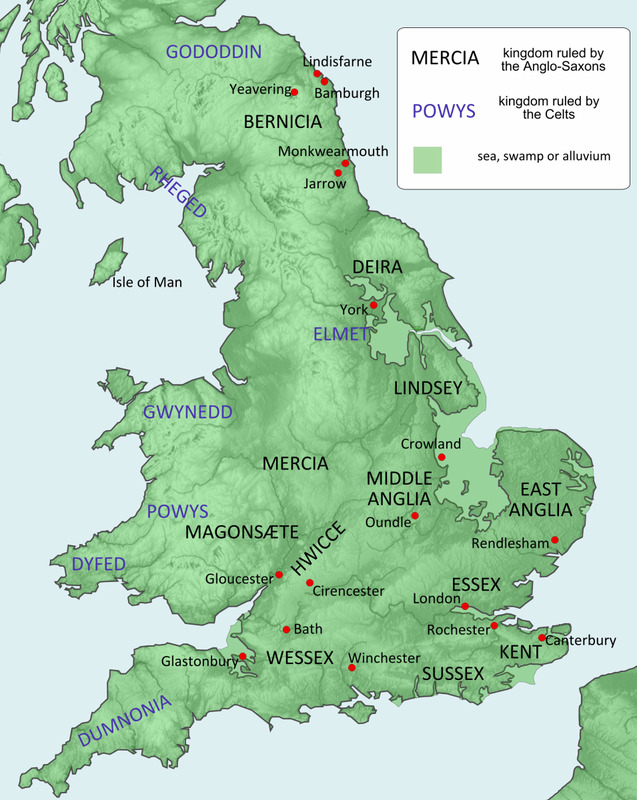 and queen to Eadward, Eadgytha enjoyed considerable power from when she married the king in AD1045 until AD1051. In that year, when her father was forced out of the kingdom and sought the hospitality of Count Baldwin of Flanders, Eadgytha was confined in the nunnery of Wherwell. She was allowed the company of only one of her female attendants. When her family returned and her father was returned to his estates in AD1052 Eadgytha was reinstated as queen - much to Eadward's chagrin. Of her brothers, Eadgytha favoured Harold's next younger brother Tostig. Eadgytha asked a young man named Gospatric to court and had him murdered. He was the scion of a rival noble house in Northumbria to Tostig's friend Gospatric. When the Northumbrian nobles rebelled in AD1065, Tostig was hunting with his brother-in-law the king at Gloucester. 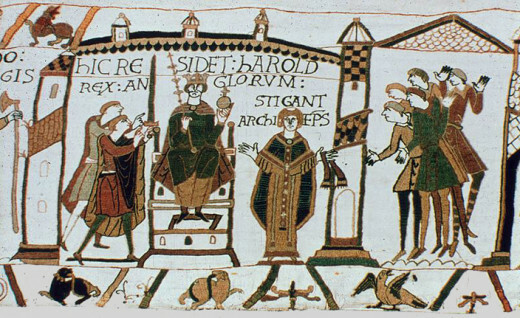 Harold was unable to make any headway in talks with earls Eadwin and Morkere at Northampton, he was unable to sway the Northumbrians into rethinking their demands for Morkere to be made Earl of Northumbria in Tostig's place. Even when he married their widowed* sister Aelfgifu after his coronation they kept their distance from him, seeing him as a usurper. 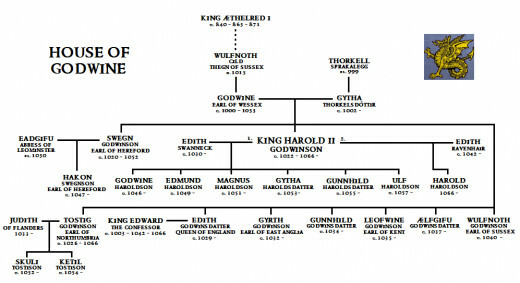 Both Eadgytha and Tostig distanced themselves from Harold because of what they saw as complicity with their bitterest rivals, and the former earl withdrew from England. He first visited Maelcolm 'Canmore' and went from him to his brother-in-law Count Baldwin in Flanders to ask for help in reinstating him. With three of her remaining brothers, Harold, Gyrth and Leofwin, killed on Caldbec Hill near Hastings - and her youngest brother Wulfnoth still in captivity in Normandy - Eadgytha threw Winchester open to the Norman duke William. She was allowed to remain in residence there, unmolested. It may also have been due to her influence that Exeter was less harshly dealt with for rebelling against and closing its gates to William in late AD1067. Nor did she hold with Harold's sons - Godwin, Eadmund and Magnus, her nephews after all - when they raided on the coasts of Devon and Somerset between AD1067-69. 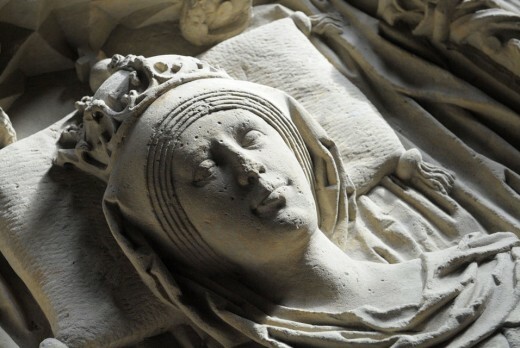 She favoured the nunnery at Wilton near Salisbury and may have spent her later life there, dying at Winchester in December, 1075. During her queenship she had sponsored a biography of her husband, the 'Vita Eadwardi', the tone of which was altered to reflect changes at the time of the Norman invasion, but her own feelings on the matter remained strangely absent despite the fact that she had undergone so many experiences because of the old king's mood-swings and dislike of her father. Perhaps with being married to a man many thought cold, calculating and distant she took on some of his characteristics. Whether she was barren or her husband 'firing blanks' no-one will ever know. It is even thought he abstained from his wife's warm embraces because she was the daughter of Earl Godwin, and had sought to be rid of her when he plotted with his brother-in-law Count Eustace of Boulogne to unseat his father-in-law. We will never know. She had her own peculiar loyalties and dislikes. 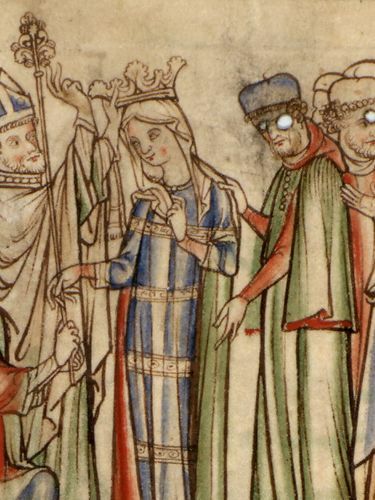 She had once favoured her eldest brother Svein (or Sweyn), and perhaps saw with alarm Harold's distancing himself from Svein in his troubled days in AD1052. Another sign she saw of Harold's ambition was in his seemingly wilful abandonment of Tostig's cause in AD1065. She was not distressed at Harold's death the year after and seemed to welcom William's kingship. She had sponsored a biography - mentioned above - of her husband Eadward. In the manner of a propagandist, her commission probably led to her husband's eventual canonisation. * Harold had pursued her husband Gruffyd ap Llewellyn in a two-pronged attack on Gwynedd a couple of years earlier, and his underlings had killed him in the hope of being rid of the English, cutting his head off and sending it with Harold to Eadward. There are no accounts of why Harold sailed across the Channel from Bosham. Whether the old king asked him to see William on his behalf, or whether he took it upon himself to do so is unclear. In the main it is hard to imagine this is the case, as it would not have been in in his own interests to pursue this line of diplomacy. He was shipwrecked off the coast of Pointhieu, perhaps heading for Flanders or Denmark - the latter is more likely. It may even have been that Harold had been on a fishing trip and was blown off course onto the rocky coast, as the later historian William of Malmesbury suggested. 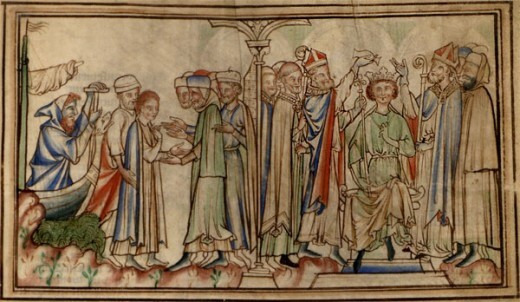 Other Norman sources hinted strongly at the first answer, that Harold was sent by Eadward as his representative to acknowledge William as his heir and successor. 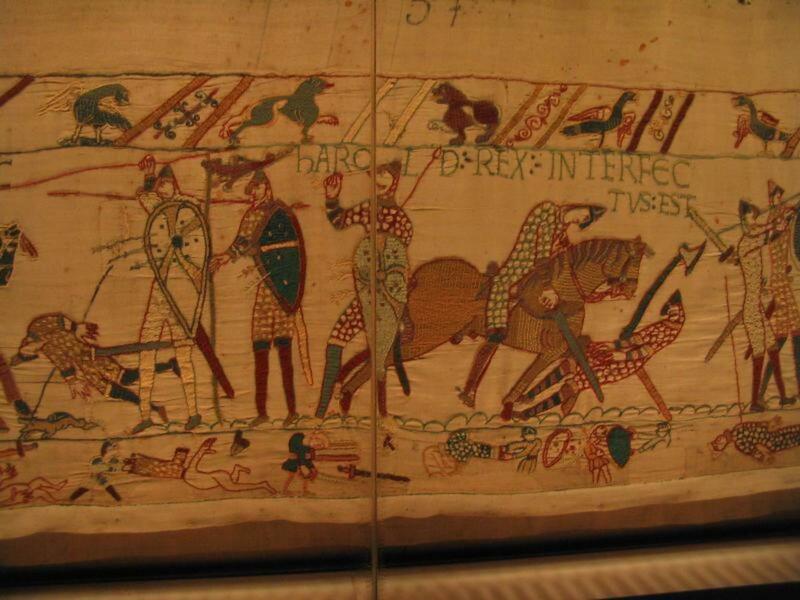 The Bayeux Tapestry shows Harold on campaign with William against Conan of Brittany. 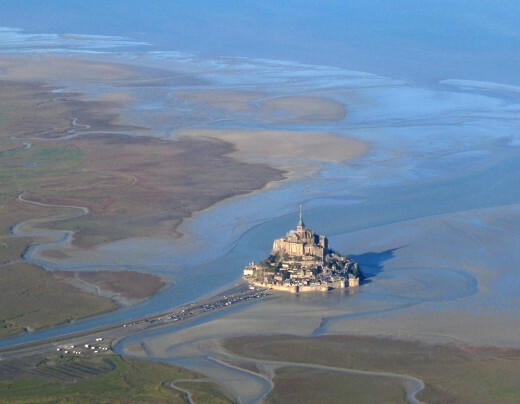 at some point the Normans were cornered near Mont St Michel at the southern end of the Cotentin Peninsula by the tide, and some were in danger of drowning. One in particular was saved by Harold from a slow death in quicksand. 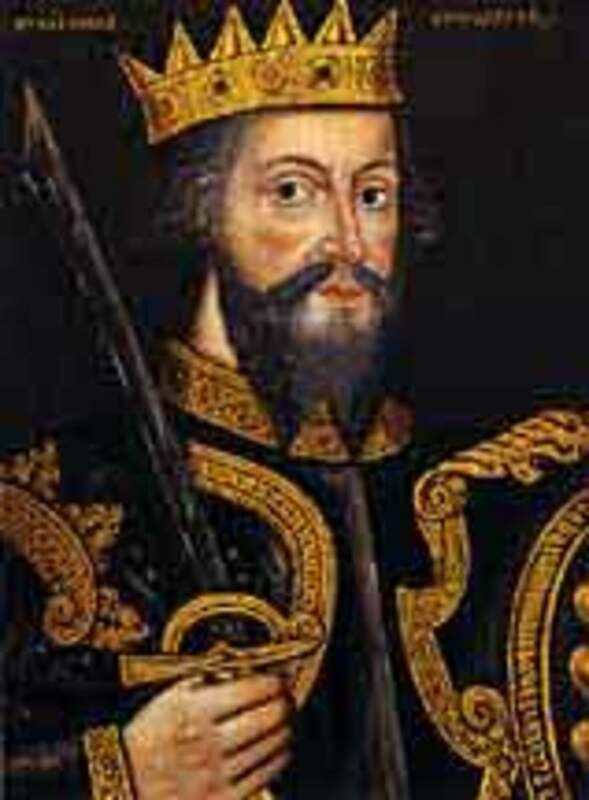 William honoured Harold with a knighthood in thanks, and in Norman eyes this made Harold his vassal. To an Englishman it was merely an honour in thanks for a charitable deed. A detailed description on the Tapestry shows Harold between two caskets, his hands on both. William had tricked Harold into an oath of allegiance, or else the earl had offered to make this oath without knowing the duke would stage-manage the event. Whichever way it could be explained, the caskets contained the bones of two saints, one of whose relics was the patron saint Denis. Harold is said to have offered to fortify Dover from his own coffers and hand it to a Norman garrison as well as entrusting other 'castles' into the hands of William's barons... Even less likely. This would have nullified all that his father Godwin and he had striven to achieve over thirty years since the death of Knut 'the Great'. Also, an oath taken under duress was not recognised by the Church as valid, nor indeed by anyone else for that matter, as Harold was later counselled. Once released, with his nephew Hakon the earl was under no moral obligation to the duke. William's justification for his claim was on his blood tie with Eadward through his aunt, Emma. A version of the Saxon Chronicle puts him as having visited Eadward in AD1051, to be offered the throne. This assertion ignores the fact that William was engaged in fighting in Anjou at the time, in a long drawn-out campaign. Nevertheless William used Eadward's nostalgia towards his mother's homeland to his own ends. Eadward's interest in church reform was exploited, too. Robert, Archbishop of Canterbury and erstwhile monk of Jumieges had been forced to flee England in AD1052 when Godwin and his sons returned after a short period of banishment. An appointee for the post of archbishop was Stigand, Bishop of Winchester and an old ally of Godwin's. Stigand was unable to receive his pallium by successive pontiffs due to his failure to relinquish the bishopric of Winchester and the pluraity of holding both posts. Only one pontiff recognised his office, but he too was denounced as an anti-pope by the Church and excommunicated by the succeeding pontiff. 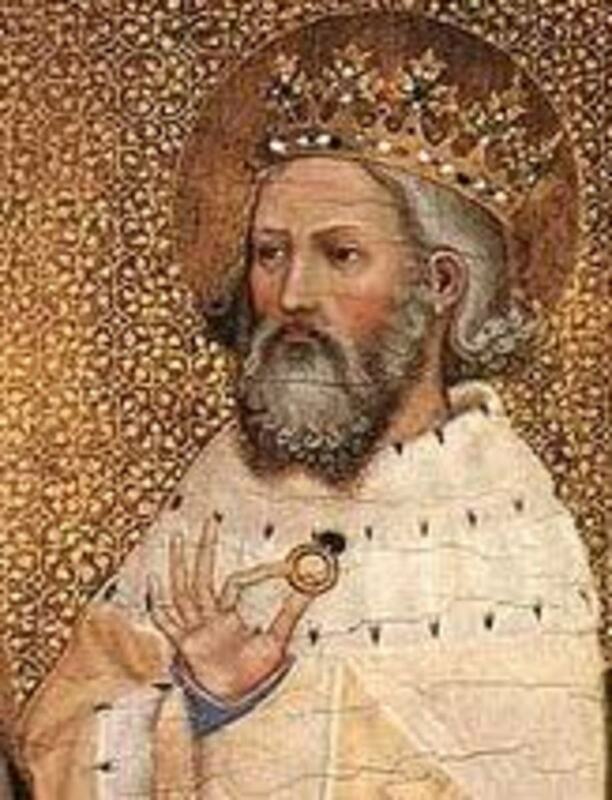 William promised the extant pontiff Alexander II that he would reform the 'corrupt' church in England and bring the kingdom back into line with Rome's teaching. By return Alexander forwarded a banner under the care of the Norman knights sent by Robert Guiscard de Hauteville in Apulia. 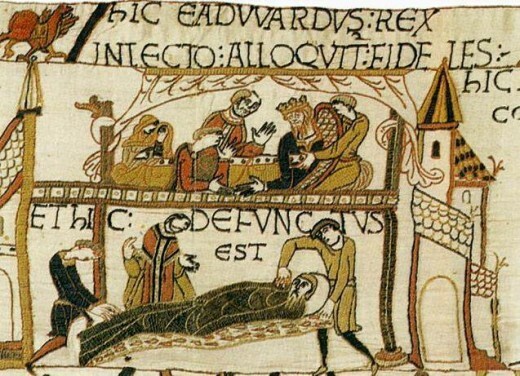 Count Eustace of boulogne is shown in the Bayeux Tapestry bearing a standard and pointing at William who removed his helmet to show he was alive in the heat of battle. The three-tailed pennant shows a large cross in the centre, and four smaller crosses in each corner. The same design is found on coins of the counts of Boulogne at the time. It may mean these are Eustace's own emblems or that he had the emblem put on his own coins to commemmorate the honour bestowed on him in carrying the papal banner. 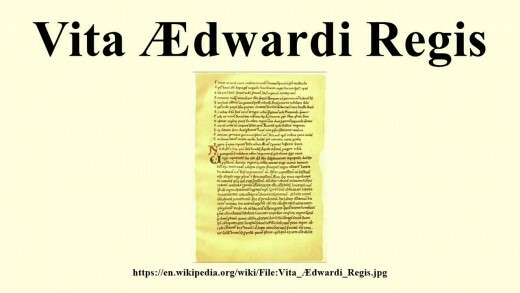 Robert Guiscard had been given a similar banner by the pontiff Nicholas II in AD1059 to demonstrate his being made Duke of Apulia as a papal vassal. William denied any wrongdoing, being king by the time a papal curia raised the query on the legitimacy of such a demonstration of Rome's support for his cause. 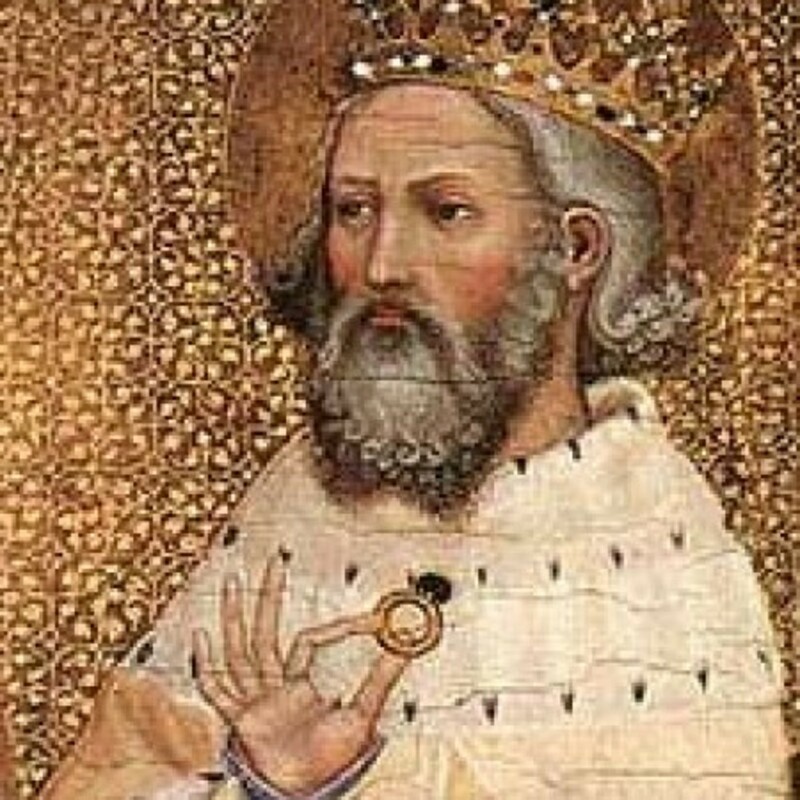 Evidence of the award of a papal banner is obscured but Norman chroniclers turned the invasion in October, AD1066 into a crusade - as such ventures later became known - on the grounds that the integrity of the Church of Rome had been compromised by the Church in England, Stigand's plurality notwithstanding. There was also the issue of the English clergy raising families, and that Harold - in resisting any invasion from across the Channel - opposed the will of the Vicar of Christ, aka the Pontiff in Rome. 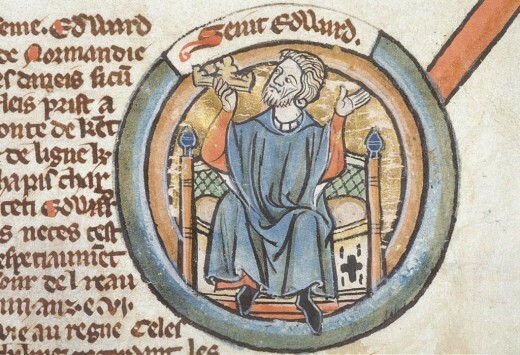 Eadward became king of England in 1042, invited to share the throne with half-brother Harthaknut. Their mother Emma was daughter to count Richard 'the Fearless' of Normandy, a mediaeval 'mover and shaker' with ambition. 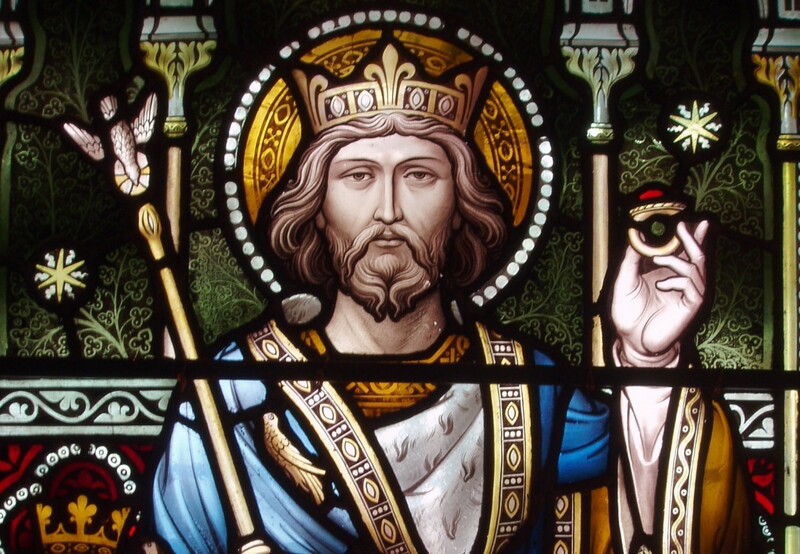 Eadward's father was Aethelred 'Unraed' (popularly 'Unready'). He came into his kingdom when Harthaknut died 'in his cups' at a wedding feast (laughing, talking, eating... you know how it ends). He had an ambitious Earl of Wessex in Godwin, and would be pressured into marrying Godwin's daughter Eadgytha... read on, the story is more entertaining than 'Dallas' or 'Dynasty'.